It feels great when you can inspire others. All it might take is to just talk and you can make a difference. It's worth a try, we don't have to wait for a perfect moment to do anything, just take the moment and make it perfect. There is no need to be perfect to inspire others. It was few months ago when we had a family get together and a topic of healthy life style popped up. As I had done one 5K run in the past with my friends I asked around if anyone was interested. Few agreed to join. I forgot about the run till I got the email reminder to register for this year's run. I reminded few of my friends and we registered for it. Few weeks ago we had another family get together and I reminded them again. To my surprise 7 other family members including kids registered for the 5K. We were super thrilled to attend the run, even though none of us did the serious practice. Last Saturday was the 5K run/walk and everyone performed their best. Kids even got within first 50 participants out of 600 or more participants in the race. The next day guys ran the half marathon. It seemed to be like a Thomas family affair in the Marathon. Certainly there was pain and aches but the end of the day everyone felt so good and made a determination to continue the saga of running for a healthy life style. Some 5K runners even thought they will be pursuing with 10k next year. Today's recipe is a light fruity salad. It's a very simple fix I do mostly every week when I want a quick salad. 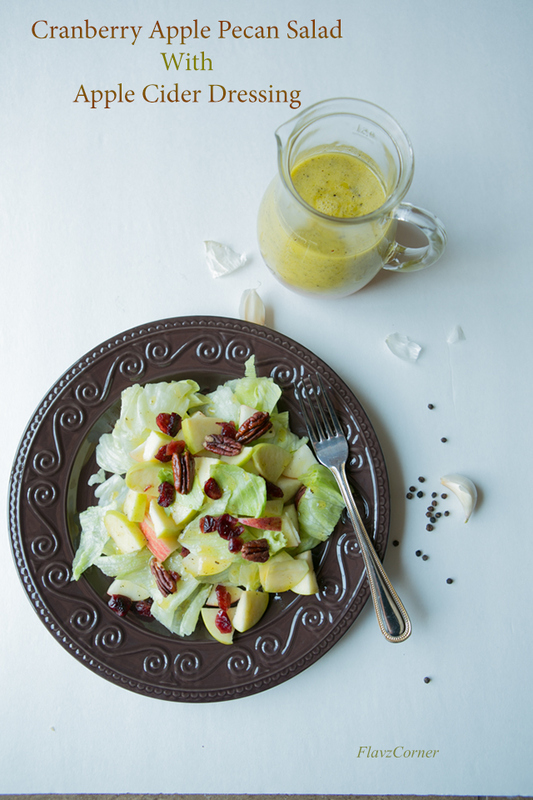 I rely on this quick salad because I always keep a batch of the dressing in the refrigerator as handy. The rest of the greens and fruits will be always found in my refrigerator. 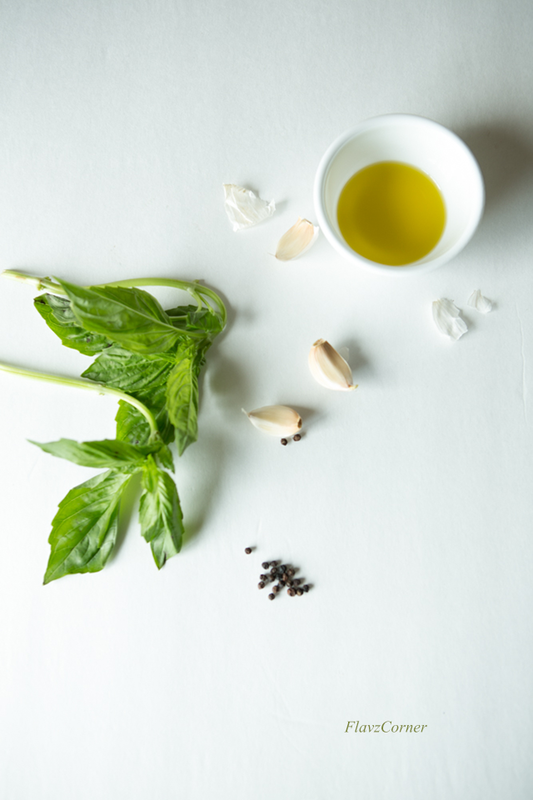 I don't have to ponder a lot for a quick fix and this handy salad is not only very simple but also delicious too. Hope you will give this recipe a try. Mix all the ingredients for the dressing in a blender. Or mince the garlic and throw rest of the ingredients into a bottle with tight lid. Shake well that it forms a emulsion where the liquid and oil is not separated. Arrange the lettuce/green in a plate. Top them with the cubed apples, pecans and cranberries. 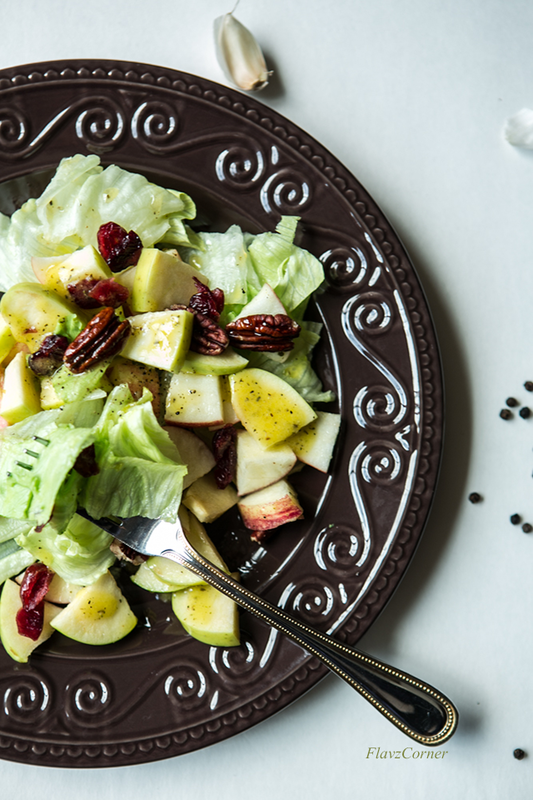 Now drizzle the apple cider dressing over the salad per your desired taste. Toss them and enjoy. 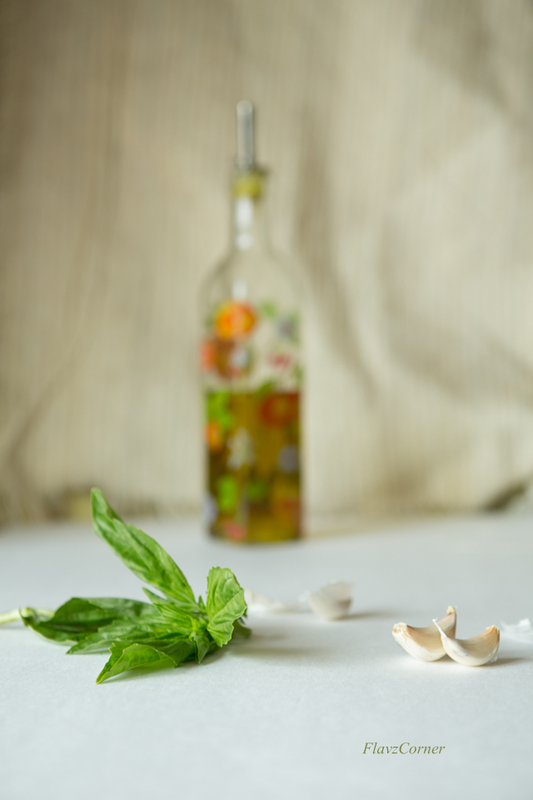 I find it better to use a blender for the dressing which helps to bring out the right flavor of the dressing. Left overs can be refrigerated. If the dressing seems to get thick and solidify when taken from the refrigerator, just run the bottle under warm water for few seconds and it should be good to use. Shake the bottle well before using the dressing. Adjust the amount of pepper and honey per your taste. A beautiful and delicious salad, Shibi. you are now inspiring me to try out different salads,Shibi dear...I usually end up making cucumber carrot salad and nothing more..this looks interesting with the dressing...love to make and taste it!! Super gorgeous and inviting salad, Shibi. 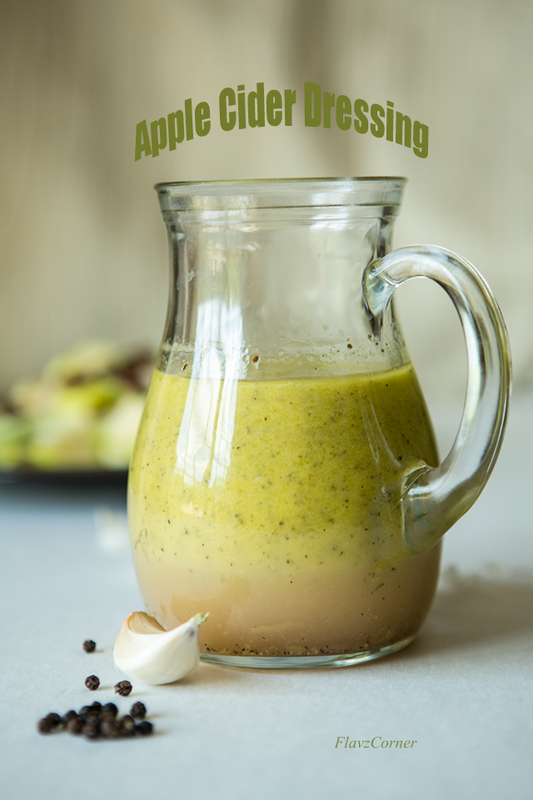 Loved apple cider dressing! The salad looks pretty and sounds summery with that lovely dressing. You know I love love the combination of apple and cranberry. Something very special about it. Running is fun...how awesome it is to do a 5K with so many family members. Awesome. Wow, 5k! That's great! And that too with the family, must be fun. I love apple cider! It makes such a terrific dressing, too, doesn't it? This looks wonderful. And the 5k sounds like loads of fun!